One of the hard things about summer is that we’re with our kids all day. One of the best things about summer is that we get to be with our kids all day! 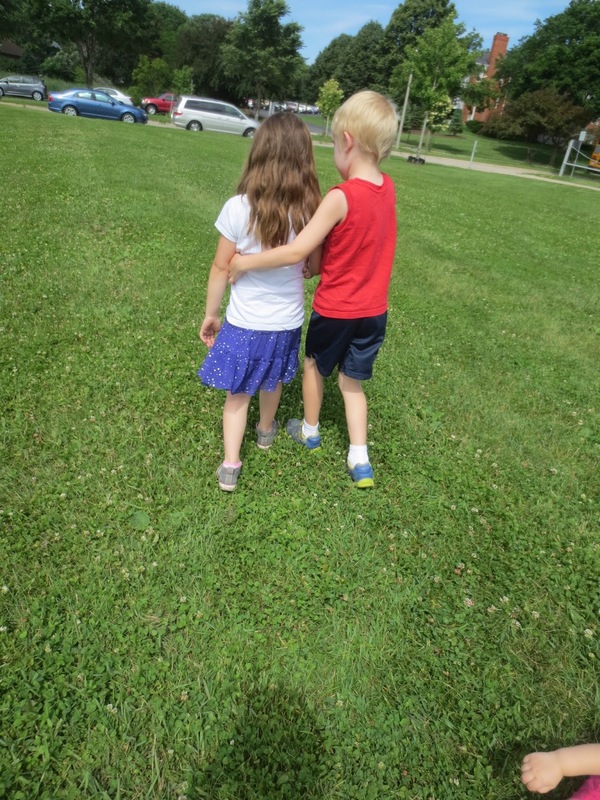 A lot of time to build our deep connections with our kids that may have gotten rusty (and hurried) during the busy school year. 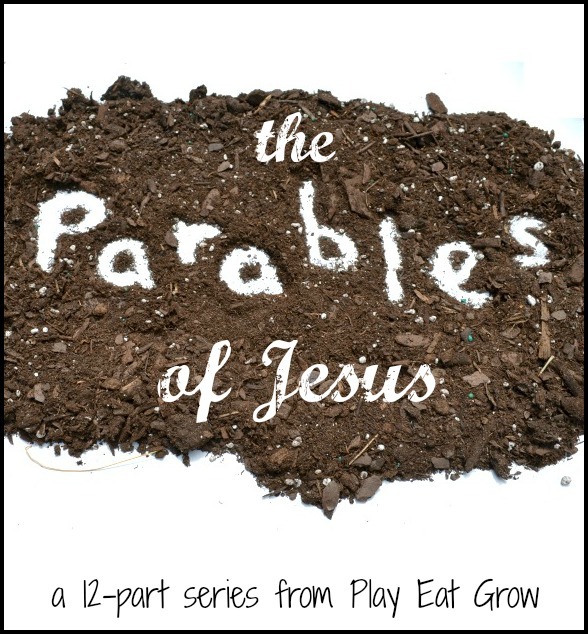 As a part of those deep connections, we hope that this summer series about the Parables of Jesus will be a resource that you can use to sow the ideas of love and justice into their hearts while you play as a family. This week we’re hanging out over in Luke 10, playing and learning from the story of the Good Samaritan. This version is from The Voice. “Just then a scholar of the Hebrew Scriptures tried to trap Jesus. Jesus (answering his question): What is written in the Hebrew Scriptures? How do you interpret their answer to your question? Jesus: Perfect. Your answer is correct. Follow these commands and you will live. Jesus: This fellow was traveling down from Jerusalem to Jericho when some robbers mugged him. They took his clothes, beat him to a pulp, and left him naked and bleeding and in critical condition. By chance, a priest was going down that same road, and when he saw the wounded man, he crossed over to the other side and passed by. Then a Levite who was on his way to assist in the temple also came and saw the victim lying there, and he too keep his distance. Then a despised Samaritan journeyed by. When he saw the fellow, he felt compassion for him. The Samaritan went over to him, stopped the bleeding, applied some first aid, and put the poor fellow on his donkey. He brought ht man to an inn and cared for him through the night. Scholar: The one who showed mercy to him. This is one of our absolute favorite parables, mostly because it’s POWERFUL, and easy for the kids to understand and put into practice. A (probably) Jewish man was walking down a road, got mugged, beaten up, and just left for dead in plain sight. A priest, one of God’s holy people, didn’t stop. A Levite, also an important man in the church, didn’t stop. But then a Samaritan man, who were enemies of the Jews, saw the man, had compassion, and helped him. Not only did he take him to a safe place, but he also made sure that his care was going to be continued. Jesus told this story to explain to the scholar that the Kingdom of God is different than we might expect. Here, to love our neighbor means to love indiscriminately. While we get to choose the neighborhoods we live in, we don’t get to pick our neighbors in the Kingdom of God. When we see opportunities to love people, take them, even when we don’t naturally like the person. This is a GREAT parable to act out. This way of storytelling is not only fun, but it helps each kid to hopefully better understand the role of each person in the story. One person is the Jewish (wo)man laying on the road. In walks another person, a priest, who goes to the other side of the road. The same kid walks in, this time as a Levite, who also goes to the other side of the road. Finally, the kid walks in as the Samaritan (you could use a doctors kit stocked with bandaids), cares for the Jewish (wo)man and takes the person to an inn. S/he gives the innkeeper a bag of money to look after the Jewish man until the Samaritan can come back. Then, we switch roles, and tell the story again through acting it out. So this is a little bit gross, which is why the kids will like it :). 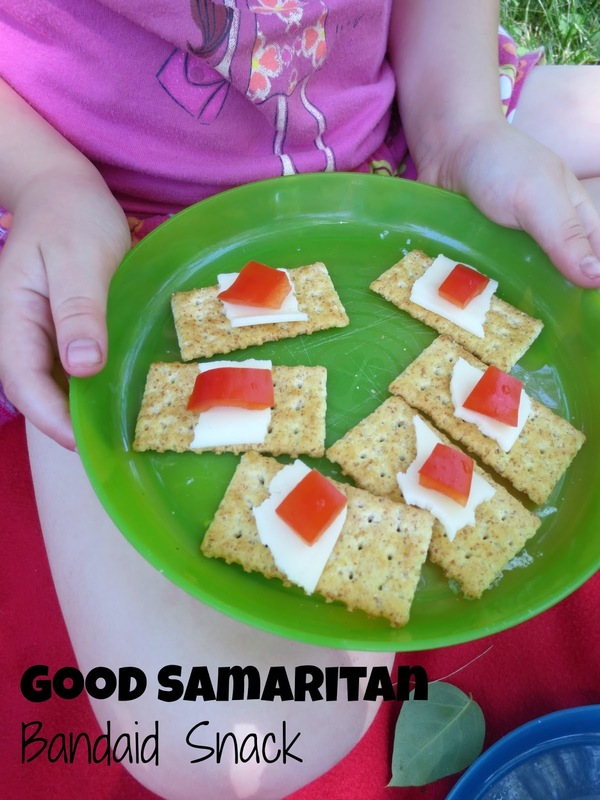 I got the idea from the snack from Katherine Marie’s Grossology post, but I changed up the ingredients to make them healthier. Finally, here’s a longer version of the story via Youtube, produced by The Beginners Bible (which our kids really like!). Want more parables? If you’re interested in the other parables we’ve already talked about, and what we’ve got planned next, here’s the list! Next story A Must Have Resource for All New Parents!